Miami Heat forward Udonis Haslem revealed over the weekend that he played most of the last season with a torn meniscus in his right knee, which will require surgery during the offseason. Haslem told the Associated Press about his injury on Saturday. He expects to be ready in time for the opening of training camp in the fall. "It forces me to be smart and take my time with recovery this summer," said Haslem, who just completed his 10th NBA season, all with Miami. "Obviously, I don't heal like I used to so I've got to be a lot smarter and this forces me to be smart. My body's a little weary right now, a lot more weary than it was after last year." The 10-year veteran and Miami native appeared in 75 games for Miami during the regular season, with 59 starts. He averaged 3.9 points and 5.4 rebounds per game. His minutes declined during the playoffs, but he started 19 of 23 games, scoring 5.0 points a game with 3.6 rebounds. Haslem's injured his knee during a February 12 game against the Portland Trailblazers. He missed the team's next game with what was called at the time a bruised right leg, then played in 50 games after that. 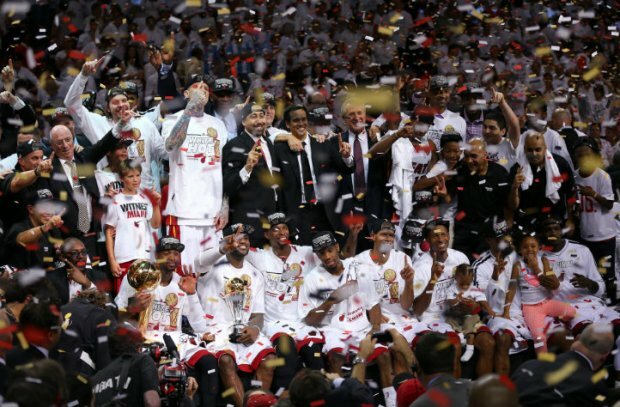 Haslem and Dwyane Wade are the only members of the Heat who played for all three championship teams. When Miami reconvenes for training camp, the roster will be almost entirely the same as it was during the NBA Finals. Only centers Chris "Birdman" Andersen and Jarvis Varnado remain unsigned. The Heat are expected to offer a contract to Andersen sometime this summer. Haslem hopes the Birdman returns. 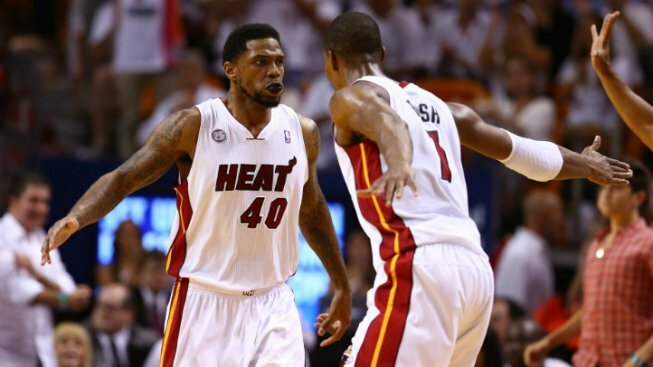 "I expected everybody that had the opportunity to come back to make the choice to come back," Haslem said. "Hopefully everything will work out with Bird and we'll have him back again at it as well. I have no idea what he'll do, but he fit in great with us. He was what we needed in that role. To me, it's almost a no-brainer."